B-Easy The DJ, Migos, 2Chainz, Rich Homie Quan, Young Dro & TI and more. This show was 20th in the global party mix chart, 24th in the global rnb/hip hop chart and 65th in the global r&b chart. 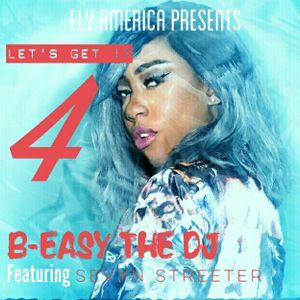 B-Easy The DJ & Sevyn Streeter collab on a mixtape that features the hottest Hip-Hop & R&B records from the month of August plus a few bonus records from Sevyn.